Please ensure to complete your purchase and return to the KAFS page following payment to receive your download link. If you have any problems, please contact us. 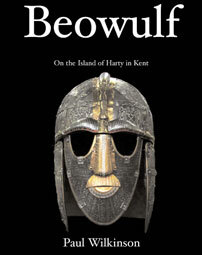 "This is an excellent read. It brings the ancient town of Pompeii to life. I would recommend even if you are not visiting the site." "The resonant ruins of Pompeii are perhaps the most direct route back to the living, breathing world of the ancient Romans. Two million visitors annually now walk the paved streets which re-emerged, miraculously preserved, from their layers of volcanic ash. Yet for all the fame and unique importance of the site, there is a surprising lack of a handy archaeological guide in English to reveal and explain its public spaces and private residences. This compact and user-friendly handbook, written by an expert in the field, helpfully fills that gap. 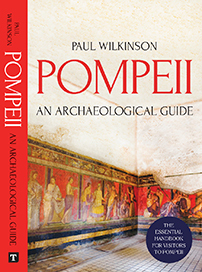 Illustrated throughout with maps, plans, diagrams and other images, Pompeii: An Archaeological Guide offers a general introduction to the doomed city followed by an authoritative summary and survey of the buildings, artefacts and paintings themselves. The result is an unrivalled picture, derived from an intimate knowledge of Roman archaeology around the Bay of Naples, of the forum, temples, brothels, bath-houses, bakeries, gymnasia, amphitheatre, necropolis and other site buildings including perennial favourites like the House of the Faun, named after its celebrated dancing satyr"
Please help support KAFS and the services we provide to the local community by clicking below.